It is extremely rare for 18th century glass objects to have survived in New Brunswick. It is even more extraordinary for a table service piece, other than a drinking vessel, to have survived with its provenance intact. 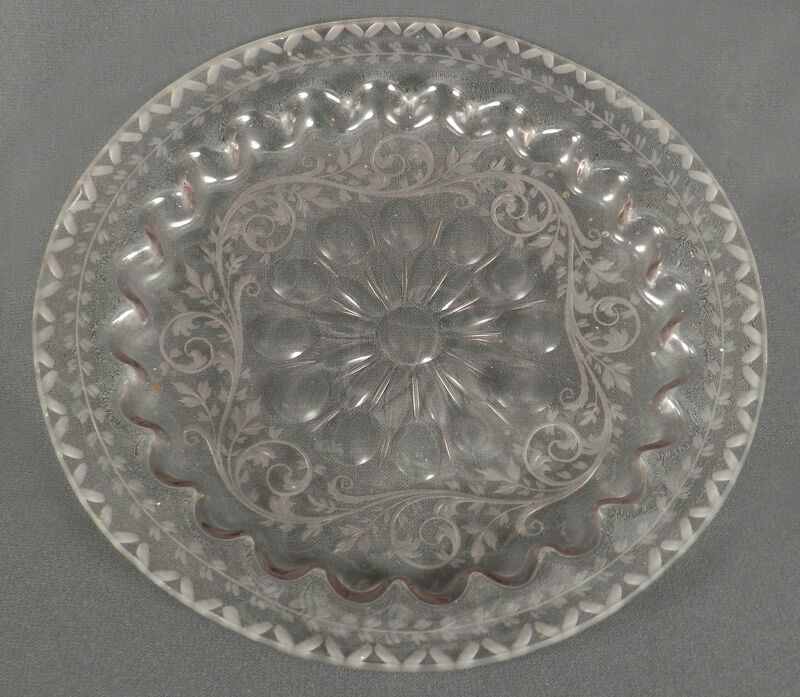 A plate from the Colonel Richard Hewlett family donated to the New Brunswick Museum in December 2015 by Angela Huntjens and Dr. Johannes Huntjens is a major addition to the NBM’s collection of Loyalist-era glassware used in the province. 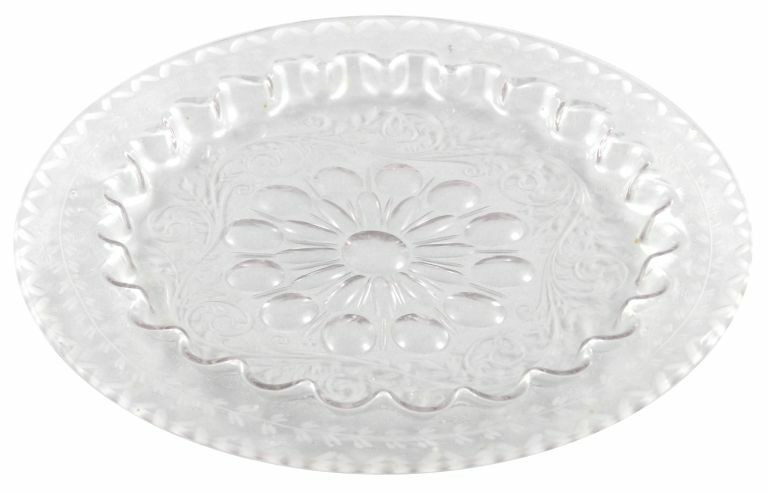 This plate, bowl or undertray is most likely of Bohemian origin. A commentary on this object provided by Ian Simmonds of Carlisle, Pennsylvania, who specializes in the history and interpretation of early American glass, suggested that the piece may be attributable to the Harrach Factory in Neuwelt, Czech Republic. His review indicated that an existing pattern book from the factory shows similar approaches to shape, form and design. The original owner, Colonel Richard Hewlett, fought in the American Revolutionary War as a Loyalist and settled his family in the Parish of Hampstead (present day Queenstown) after the conflict. This piece remained in the Hewlett family until about 1906 when it was presented by two descendants as a wedding gift to the local Anglican rector and his wife. The NBM currently houses half a dozen drinking glasses from the late 18th century and one decanter box containing glasses and bottles – all of which appear to have United Empire Loyalist provenance. This tray certainly expands the representation of late 18th century luxury wares cherished by those immigrants who came to the province in the years after the American Revolutionary War. This item also has potential for additional research relating to trading patterns between central Europe and North America in the 18th century. It is also an excellent comparative example for understanding a variety of glass decorating processes and techniques. Provenance: Colonel Richard Hewlett (1729-1789) and his wife, Mary Townsend (1734-1819); to their son, Joseph Hewlett (1772-1821) and his wife, Clarissa Winslow (1770-1861); to their son, Captain Thomas Townsend Hewlett (1793-1878) and his wife, Ann Horsfield Sloan (1795-1870); to their daughters, Mary E. Hewlett (1827-1916) and Eliza Winslow Hewlett (1834-1912) until about 1906; a wedding gift to Reverend Canon Mansel Shewen (1876-1951) and his wife , Edith Olivia Bishop; given to Ada Ruth Flemming Thompson (born 1906); to her daughter, Angela Thompson Huntjens and her husband, Dr. Johannes Huntjens.